In this guide, we will share some best binoculars for whale watching and ocean viewing with detailed reviews. Whales are spectacular creatures. Just watching these great ocean beings at their best is a breathtaking experience that everyone should have in their lifetime. But, as great and exciting as they are to watch, whales can be pretty shy especially since they have been hunted by humans for years. To get a good glance at one, you either have to be really lucky or have a fantastic set of binoculars. With the right binocular, you can view these majestic beats in all detail even if you are far away at the shore or on a ship. 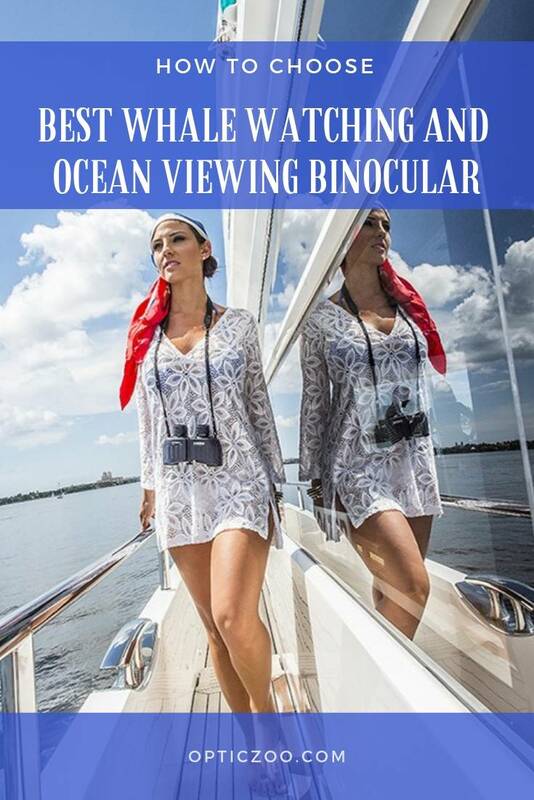 What is the Best Whale Watching And Ocean Viewing Binocular in 2018? Fujifilm Fujinon Polaris FMT-SX 23mm/ 7.1mm 7x50 Multi-coated Porro 3.34 lbs Check price! Sightron SIIBL832 17.5mm/ 4.0mm 8x32 Fully Multi-Coated Roof 19.8 oz Check price! Steiner 575 Marine 22mm/ 7.1mm 7x50 Fully Multi-Coated Porro 37 oz Check price! Nikon 7239 Action EX 17.2 mm/ 5.0mm 7x50 Multi-coated Porro 2.24 lb Check price! Carson XM-042HD 17mm/ 4.2mm 10x42 Fully Multi-Coated Roof 24.7 ounces Check price! Fujifilm Fujinon Polaris 7×50 FMT-SX takes the first spot in our list for the simple reason that it is an award-winning brand, especially by the marine industry standards. The Fujifilm Fujinon Polaris 7×50 FMT-SX offers a field flattener lens that gives you the edge to edge image clarity and sharpness that will bring out every detail while whale watching. With a waterproof build quality, this binocular is precisely what you need when you are out there in the ocean looking for a view of the greatest whale. When it comes to optics performance, this binocular stands out for its high-resolution image thanks to a multicoat design that delivers high light transmission. Even in low light, this binocular is still capable of amazing image clarity. The binocular boasts of an amply sized eye relief that works great especially for those who wear glasses. For the avid marine enthusiasts, the Fujifilm Fujinon Polaris 7×50 FMT-SX offers a great deal of value. Not only are they designed for night vision but they are also built to withstand the ocean which is nothing to sneeze at. 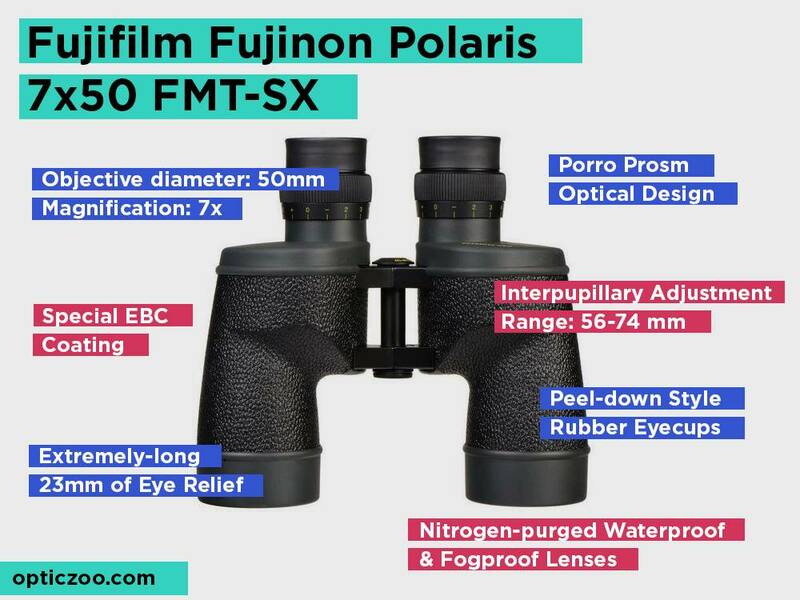 Furthermore, this binocular comes at a pretty affordable price range and if the reviews are anything to go by, the Fujifilm Fujinon Polaris 7×50 FMT-SX is a must have for those looking to achieve greater focus and detail while ocean watching. 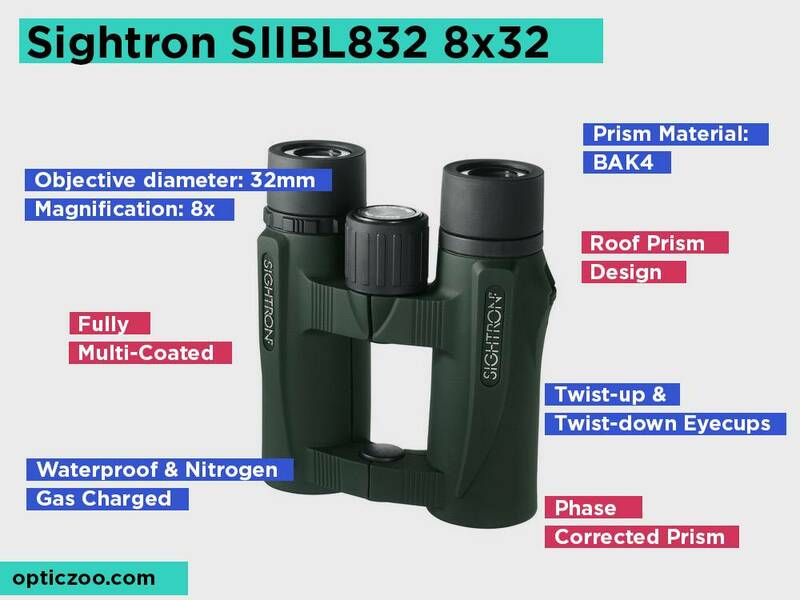 At its price range, the Sightron SIIBL832 8×32 is by far one of the best options you can have for whale watching. This binocular is set apart such that even discriminating users will love its quality performance. 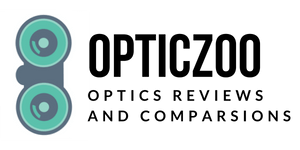 Besides, Sightron, Japan-based company, is one of the most experienced optics manufactures as the company has been on the market since 1960s. You can expect nothing short of remarkable optics performance with this binocular. Its fully multi-coated lenses are a common feature you would find with other premium options which is great. Basically, the fully multicoated design enables you to have crisp clear and sharp images at the full light transmission. 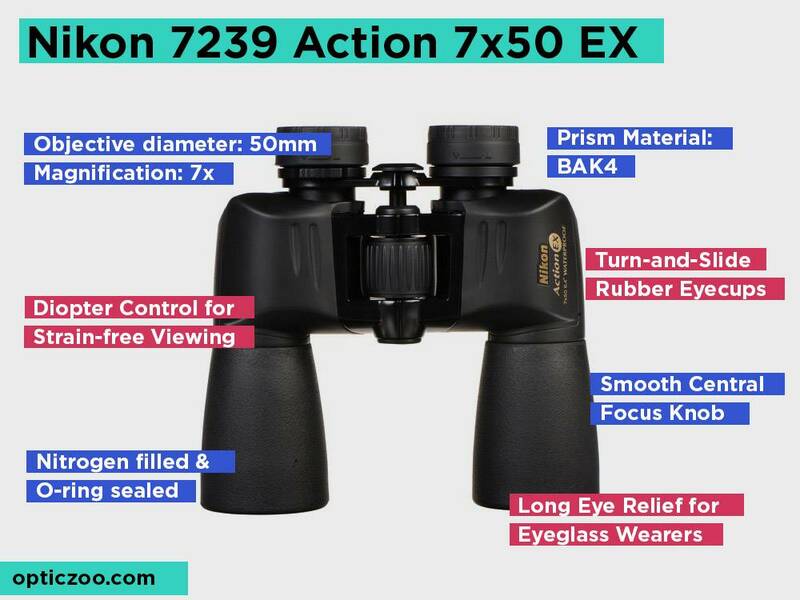 In addition, its optics are made of BAK-4 glass which is one of the top options that manufacturers go for when making binoculars with superior resolution. With an eye relief of 17 mm not to mention a pair of twist up eye cups, this binocular does not only give you the right viewing distance but also adds comfort as a bonus to those who wear eyeglasses. You might look at the price of the Sightron SIIBL832 8×32 and dismiss its quality. However, this binocular is not only a favorite for those who want to go whale watching on a budget, but it’s also a decent performer even for discriminating optics enthusiasts. Its 8x optical image magnification added to the fact that it uses top quality BAK-4 glass on its prism and lens makes it a perfect candidate for ocean viewing. It has a focus ring for adjusting the diopter to compensate for the different vision in both eyes. Plus the depth of view is good enough for viewing every detail while out in the ocean. Sure it’s not one of the mainstream options you will find but for its price and optics performance, you would be mistaken to skip out on these binoculars. Although it has a chunky body design when compared to others on this list, the Steiner 575 Marine 7×50 comes with great optics performance and at a price that won’t require you to sell an arm and a leg. 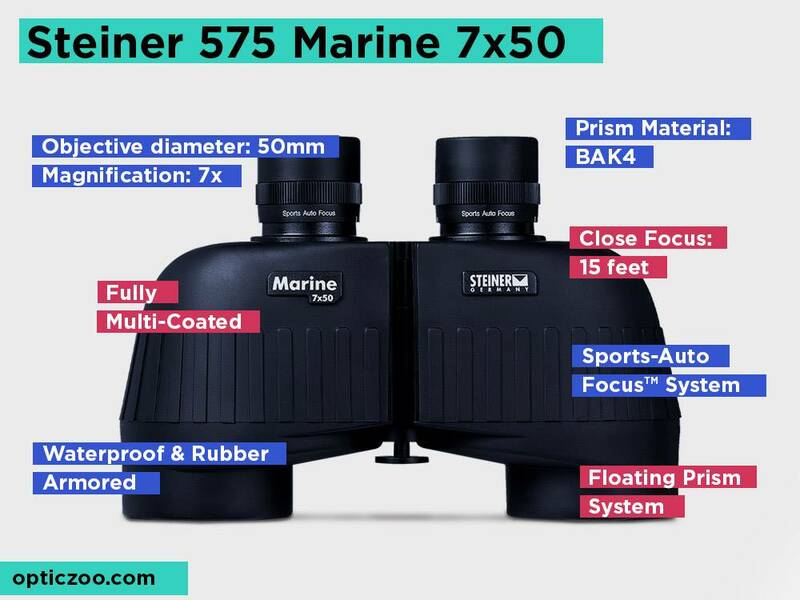 The Steiner 575 Marine 7×50 has a high contrast optics that deliver sharply contoured images with natural and bright color definition making it ideal for ocean viewing. 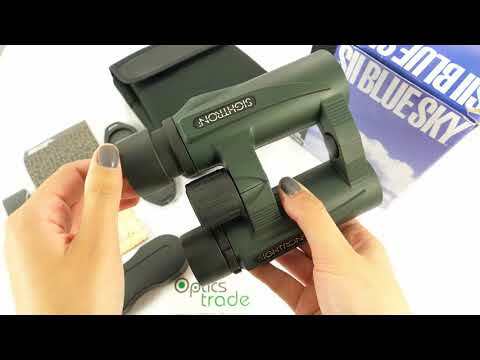 Whether you are a beginner or a pro marine enthusiast, this binocular will serve you well in terms of optics especially with its peak light transmission that goes over 90 percent. It’s a fully-multicoated binocular with a Porro prism design made out of world-class BAK-4 glass. The binocular also comes with a Steiner’s Sports-Autofocus system which can be set to put your images in focus. Its performance in low light situations makes it a great option for fishing or marine activities. You also get a bunch of accessories including a strap, a Rain-Guard and a soft case for storage which is great. Apart from whale watching, you might also need an affordable binocular for daily use. If that is the case, the Steiner 575 Marine 7×50 is a perfect option. Not only does it offer value for money, this binocular feature a BAK-4 prism that delivers over 90 percent light transmission. With features such as the Steiner’s Sport-Autofocus system, you can keep every moving object from 20 yards to infinity in perfect focus. This makes I the best pick for watching whales jump out of the water. In addition, this binocular comes with a 10 years warranty and is made with a shockproof and waterproof housing for durability. The only downside is the fact that it’s a bit too large for those looking for portability. If you need comfort for your extended viewing while out in the ocean, you can count on the Nikon 7239 Action 7×50 EX. 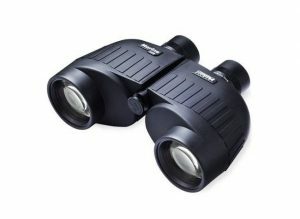 This binocular comes at a price that is pretty affordable especially when you consider the features it has. To begin with, you get a unique twist out eyecup that are designed to operate on a click giving you long eye relief. This makes it a good pick even for eyeglass wearers. In terms of durability, the Nikon 7239 Action 7×50 EX comes with a rubber-armored coating that is both protective and durable. Plus the rubber armor also gives the binocular a non-grip design that is great for marine activities at the ocean. The lenses use a BaK4 prism that offers quality high index refraction with sufficient light transmission for bright and vivid images. Thanks to the multi-coating design and the BaK4 glass prisms that this binocular brings about, users get to experience a moderate range of compensation even for those with eyes of unequal strengths. You can use it on a tripod thanks to a tripod mount that comes with. Furthermore, there is a 25 year no fault policy warranty which goes further to guarantee the quality make of this binocular. Founded in 1990, Carson has been producing innovative products in the optics industry for close to 3 decades. The Carson XM-042HD 10×42 is one of their best products so far that targets users looking for sharp and bright images. Boasting of a rubberized armor this binocular brings about durability in a rugged build quality that is also shockproof. You can count on it to hold its edge against the elements especially with its O-ring seal that gives it’s a water and fog proof capacity as well. For comfort viewing, it comes with twist-up eyecups that work well for eyeglass wearers. Plus the extra long eye relief makes it perfect for extended use. 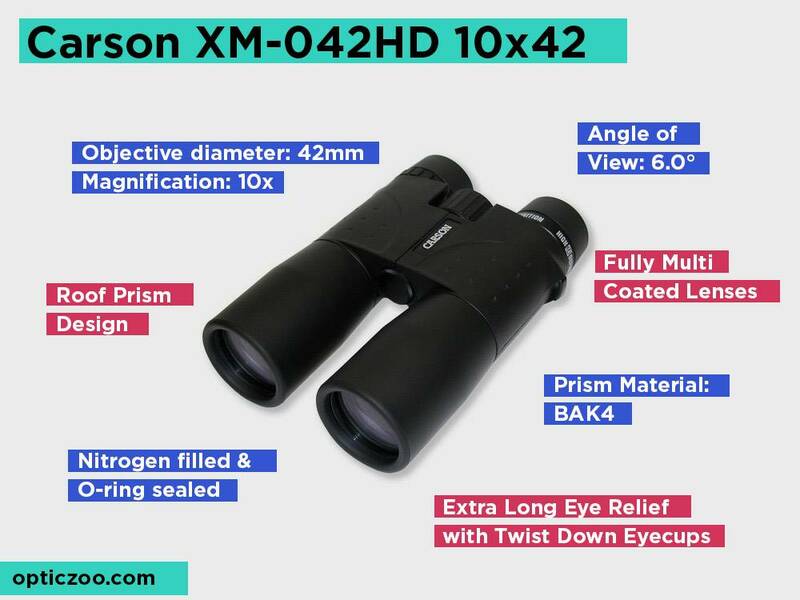 In terms of performance, the Carson XM-042HD 10×42 delivers impeccable magnification set at 10x and with a 314 ft field of view you can be sure to get as close to the whale as you can be with the best ocean viewing experience a binocular can give. 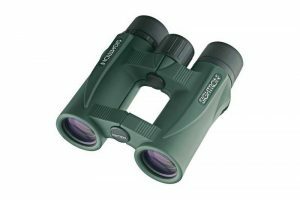 It has a lightweight and compact body that makes it the perfect candidate for those who plan to have a portable binocular as well. It’s a fully multicoated binocular meaning you get a decent light transmission for bright images in your viewing. Furthermore, in addition to the no hassle warranty it comes with you also get a set of accessories such as a neck strap, lens cover and lens cloth to go with it. If you love marine animals, you will agree that the experience of watching whales make waves in the ocean is more than just breathtaking. The good news, however, is that with the right binoculars you will feel as if you as close as you can be to the action. First, you need to know what features to look out for in the best binoculars for whale watching. This guide will take you through the basics and point out some key features tips and tricks to keep in mind while in your search. Marine binoculars can be quite expensive. However, if you are only going to use the binocular for whale watching, it would be absurd to spend too much. After all, there are plenty of options out there that offer quality viewing at an affordable price. Some of the basic features you need on your binoculars include a waterproof and fog proof capabilities, a durable chassis to withstand extremes of the ocean weather, image clarity, and superb optics performance. One easy way to determine if you binocular has waterproof capabilities is to check whether there is an o-ring seal. The o-ring keeps the entire binocular sealed to keep moisture and water from getting into the lenses of the binocular. Granted, you won’t be swimming with your gear but it’s a good idea to get one that can hold its edge in case it drops into the water while you are in the ocean. Temperatures can be extreme in the ocean or at sea. For that reason, you want to make sure that you are getting value for money with fog proof binoculars that won’t let fog block your view. Most manufacturers fill the binoculars with nitrogen or argon gas to keep it vacuum free and therefore prevent chances of fog getting in though atmospheric pressure and temperature changes. If you are going to be out there in the ocean, you need your binoculars to have a rugged body that is not only durable but also capable of providing a decent grip. Most manufacturers provide rubber armor with their binoculars thus enabling a non-slip grip even when your hands are wet with water. This can be quite a useful feature when you are out there watching the ocean for whales. You can also check out some of the material used to create the housing of the binocular. Popular options that manufacturers use include: aluminum, polycarbonate, magnesium. This is a popular material and for a good reason. It is lightweight and easy to use to make strong but inexpensive binoculars. This here is another popular material used to make binoculars. It is also inexpensive and easy to work with. Apart from the fact that its corrosion proof and tough, this material stands out for its resistance to temperature changes. Most manufacturers’ prefer polycarbonate than metal while making their binoculars for the simple reason that it is able to maintain a neutral temperature. This prevents constant expansion and contraction that is common with metal binoculars thus improving the lifespan of the binoculars in the long run. Magnesium is used for its high strength to weight ratio. This basically means that it provides a much lighter alternative. This is the type of binocular you will be comfortable holding over your face for hours thanks to its lightweight build quality. Every binocular come with a magnification value as well as an objective lens diameter. These are the two numbers that will help you determine the exit pupil and are mostly demonstrated like this, 8×42 or 10×50. The first number in the equation represents the magnification and the other represents the lens’ diameter. The magnification you go for will determine your view and therefore, for a decent pick go with a 7x or an 8x for a view of the whales at a closer distance. If you want to watch the whales from the shore, we recommend you go with a higher magnification of 10x and above for the best results. This number determines how bright the image is by determining the size of the focused light that hits your eye. Ideally, the diameter of the exit pupil should be larger than that of your pupil which is about 1.4mm. When the exit pupil is larger, you get to view light and therefore larger crisp clear images. Keep in mind that the older you are the more your pupils dilate meaning aged users will require a much bigger exit pupil for them to get a clear and vivid view. This refers to the distance between your eye and the eyepiece. If you wear glasses, getting a long eye relief will help with comfort viewing at a proper distance from the eyepiece. Some manufacturers include eyecups that help position your eyes in the right distance for clear viewing. In case you get a focus that is not ideal for watching whales, you can also use the dioptric adjustment knob that comes with some models to achieve a sharp focus. This is a great feature s to use if you have unequal vision between your two eyes. 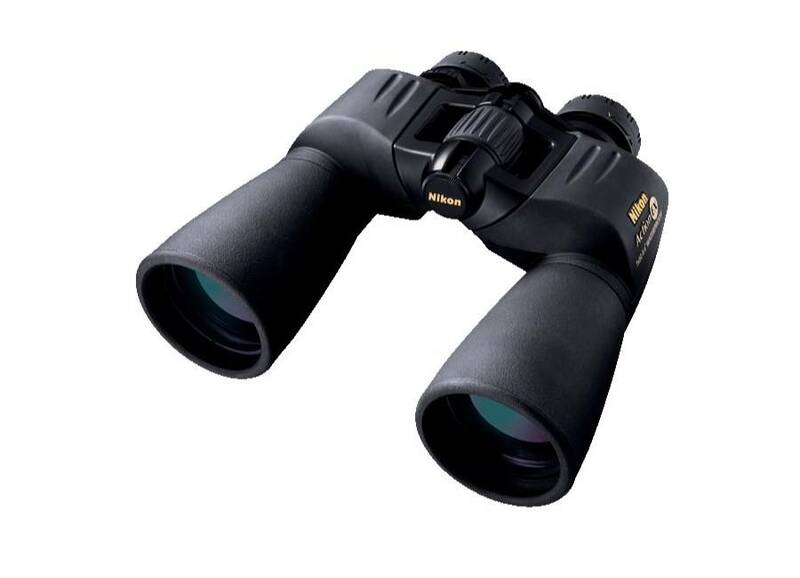 Also be sure to get a binocular with adjustable eye cups especially if you plan to buy a binocular that can be used with your friends and family. The best thing about using a binocular is the fact that you get to view the image using parallel optical tubes unlike the monocular or telescope that only let you view with one eye. As a result, you get a lifelike 3-dimensional appearance of your subject which is great. However the mechanism that manufacturers use to come up with this design requires the use of glass prisms in the binoculars, these prisms work to give your image the right orientation. Let’s check out two prism systems that exist: porro and roof. This system usually has the eyepiece offset from the lens tubes. This is so because the Porro prism system features a prism glass offset at an angle from one another. This enables the binoculars to give out a greater depth of field and a wider field of view for a more natural looking image. However, this design makes the binocular much larger. On the other hand is the Roof prism design. 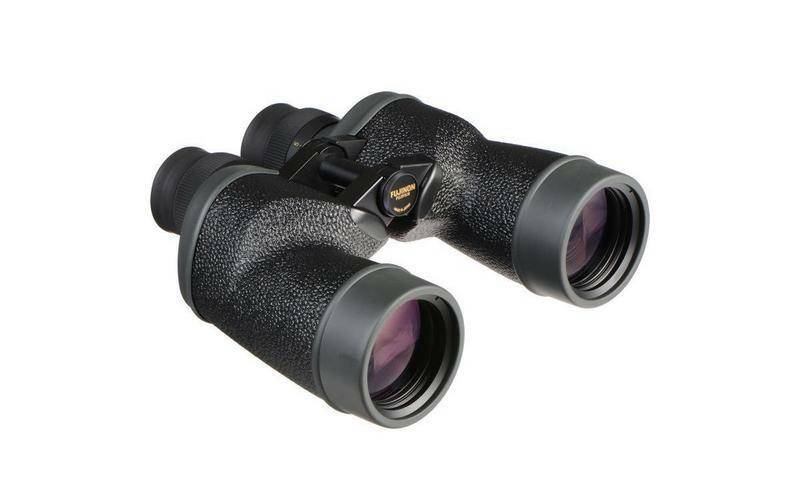 This one works well for those who need a compact binocular as it uses prisms that are set in a streamlined position. Mostly Roof prism are pricier than their Porro prism counterparts and the reason is that they are easier to hold and can be confined in more compact bodies. The lens or optical coating is when there is an antireflective surface added to the glass surfaces of the binoculars to improve its light transmission by eliminating light reflection. With lens or optical coating, you will not have a problem with light glare or limited light transmission that produces dull-looking images. The more the coating, the better the light transmission and therefore the brighter the images. Here is what you need to know when it comes to lens coating. This is the basic level of coating that has at least one glass surface coated with the anti-reflective layer. In some cases, this might not be efficient to achieve reliable light transmission. 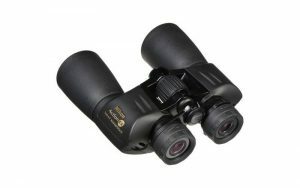 The multi-coating option is a feature you will find with most entry-level binoculars. Basically, it means that the binocular has one or more surface coated with anti-reflective layers. Compared to the coated option, this provides a much better performance. If you want a premium level coating to go with fully multicoated binoculars. This means that all the surfaces of the lenses have been coated with multiple layers of anti-reflective substance. This enables the binocular to offers high levels of light transmission for clarity and impeccable color rendition. This is the best option for whale watching as it is effective even across a wide wavelength spectrum. The type of glass your whale watching binocular is made of also matters a lot. If you go for generic optical glasses, you can be sure to expect some odd colors and skewed images. 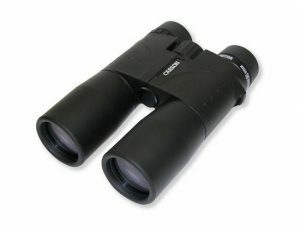 Go with a binocular made out of a specialized glass with low dispersion. BAK4 – Also known as Barium Crown Glass is a popular specialized glass that you will find in premium binoculars. This glass type is used for its high refractive index. With this type of glass images experience less internal reflection. The result is a more realistic and natural looking image. BK7 – Although this type of glass is more popular than the BAK4, it has a slightly lower refractive index and tends to have some level of internal reflection but it is still capable of offering decent levels of contrast and image clarity. SK15 – This glass material strikes a balance between the two materials mentioned above. It produces clear images with high contrast thanks to a high refractive index. So there you have it. 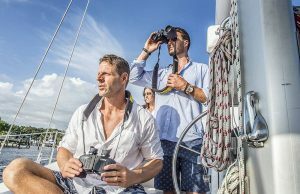 We have looked at the top 5 binoculars for watching whales out in the ocean and with our in-depth buyer’s guide, you can be sure to get the best out of the option you pick. Be sure to consider other factors such as your budget, the warranty and the number of accessories that a binocular comes with. These will also help steer you into the right product for your needs.